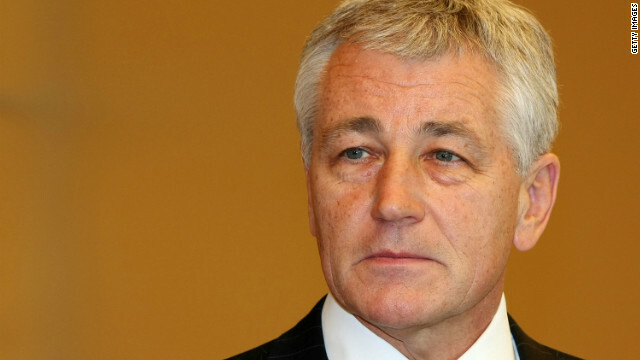 Chuck Hagel represented Nebraska in the U.S. Senate from 1997 until January 3, 2009, when he retired. A Republican and former U.S. Senator from Nebraska is expected to be nominated for secretary of defense, sources tell CNN. The White House has told some senior members of Congress to expect President Obama to nominate Chuck Hagel as defense secretary, according to a knowledgeable source. Another source with knowledge of the nomination called it "locked down." 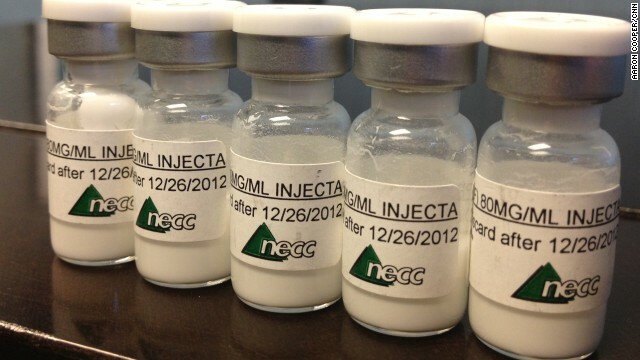 Bottles containing injectable steroids distributed by the New England Compounding Center, suspected in a meningitis outbreak. A Massachusetts pharmacy linked to a meningitis outbreak says its cleaning contractor should share blame for an apparent mishap that left dozens dead nationwide. The New England Compounding Center sent a letter to UniFirst Corp. demanding it share responsibility for a tainted steroid used to treat pain and inflammation, according to a filing this week with the Securities and Exchange Commission. The company said that it "seeks to establish a fund to compensate individuals and families affected" by the outbreak, which has been linked to 39 fatalities among the 656 cases tallied in 19 states. Patients contracted fungal meningitis after their spines were injected with a contaminated steroid called methylprednisolone acetate, health officials have said. According to health agencies, the compounding center did not follow proper sterilization procedures and distributed its products without knowing whether they had passed sterility tests. 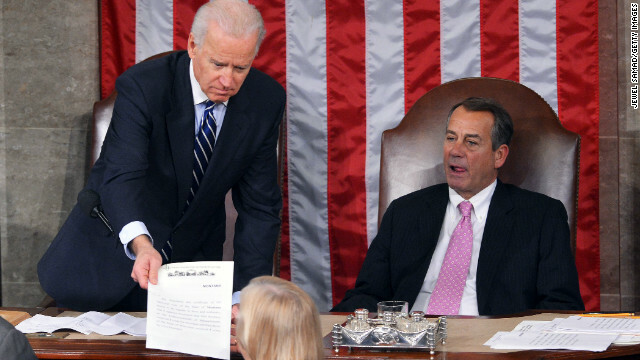 Vice President Joe Biden read the results during a joint legislative session on Friday afternoon in Washington. Remember that presidential election we had two months ago? The electoral college has followed through. Lawmakers on Friday counted the electoral college's votes on Friday, and the results were as expected: 332 votes for Obama and his running mate, Vice President Joe Biden; and 206 votes for former Massachusetts Gov. Mitt Romney and his running mate, U.S. Rep. Paul Ryan of Wisconsin. Biden, in his role as the Senate's president, read the results of the electoral college's votes - actually taken in December, more than a month after Election Day - in a joint legislative session in the U.S. House. While Obama awaits his January 21 inauguration, he'll be making new picks for his cabinet. High-profile vacancies are expected to include secretary of state, secretary of defense and treasury secretary. Obama’s cabinet: Who’s in, who’s out? [Updated at 2:43 p.m.] After days of controversy surrounding a canceled vote on a Superstorm Sandy aid package, the new Congress has approved part of the plan. The U.S. House on Friday approved a $9.7 billion Superstorm Sandy aid package, 354-67, and the Senate gave its own approval, unanimously and without debate, in the afternoon. Lawmakers from both houses will weigh in on $51 billion in additional Sandy aid on January 15, but that larger portion will likely face much closer scrutiny in a Congress anticipating more acrimony over spending and debt. Frustrated victims of the massive October storm in the Northeast watched this week as a vote on a $60 billion measure was canceled just before the previous Congress wrapped up its work. Politicians from hard-hit New York and New Jersey blasted House GOP leadership for canceling the vote, until House Speaker John Boehner promised to hold the new votes this week and January 15. 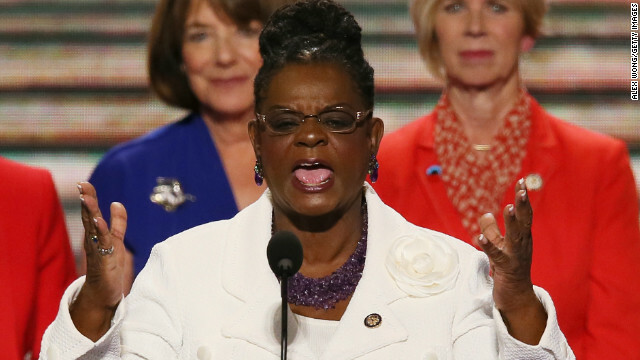 U.S. Rep. Gwen Moore speaks at the 2012 Democratic National Convention. A representative disappointed that the old Congress didn’t renew the Violence Against Women Act before disbanding says she’s hopeful that the new Congress - with more female and Democrat members - will get it done. The Democratic-controlled Senate had voted to renew the act with an addition: giving tribal authorities new power to prosecute offenses by non-Indians on tribal lands. The Republican-controlled House passed a bill without this power. Talks to reconcile the versions failed, and lawmakers will have to start over in the 113th Congress, which began Thursday. Only six Democrats supported the House version that omitted the new tribal authority. “It’s a shame we’re at this point, because … this bill had some very, very hard times getting through the Senate committee structure,” Moore said. 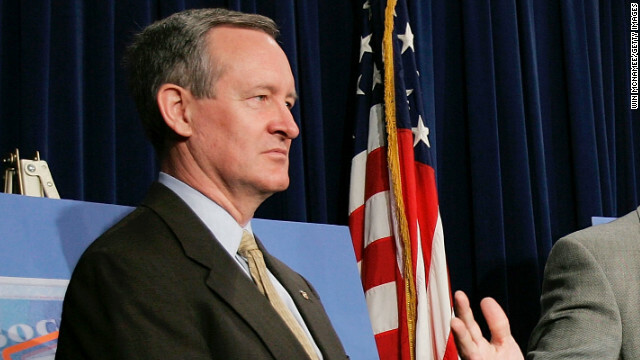 It’s a new year, a new Congress, and a new driving ban for U.S. Sen. Mike Crapo. The Idaho Republican, arrested in December on suspicion of drunken driving in Virginia, pleaded guilty Friday to the charges, which came with a $250 fine and a year-long suspension of his driver's license. A 180-day jail sentence was suspended on condition of good behavior. His guilty plea came a day after the 113th Congress was sworn in. Crapo, re-elected in 2010 with 71% of the vote, was arrested at 12:45 a.m. ET on December 23 in the Washington suburb of Alexandria, Virginia, after a police officer noticed his vehicle running a red light. Alexandria police said Crapo's blood alcohol level was .110 at the time of his arrest. This February 2001 file photo shows animal rights activist Brigitte Bardot in Romania. First it was Gerard Depardieu. Now another famed French movie star, Brigitte Bardot, might be interested in Russian citizenship. The 78-year-old Bardot, an animal rights campaigner, will request Russian nationality Friday if plans to euthanize two elephants at a zoo in the French city of Lyon go ahead, her foundation said. She has asked French President Francois Hollande to intervene on behalf of the elephants, who are believed to have tuberculosis. She told French newspaper Le Parisien that the former circus elephants could be helped with the right veterinary care and that her foundation could help find them a more suitable place to live. This comes a day after Russian President Vladimir Putin gave Russian citizenship to Depardieu, who was angry about French plans to raise taxes. December was a somewhat positive month for U.S. jobs, the U.S. Bureau of Labor Statistics reports. The U.S. economy added 155,000 jobs in December, roughly enough to keep pace with labor force growth, keeping the unemployment rate at 7.8% - unchanged from November's revised rate, the bureau said Friday morning. Health care was the sector with the greatest jump, with 45,000 jobs added. The gain is slightly above the average monthly gain for 2012 and 2011, which was 153,000 per month, the bureau says. As you mull these numbers, here's something to consider: They include those you might call the hopelessly unemployed, those who say they want a job but haven't searched for one in at least a year. CNNMoney reports that number is above 3.3 million, higher than the 2.5 million recorded five years ago, before a recession began. Who are they, and why have they given up? 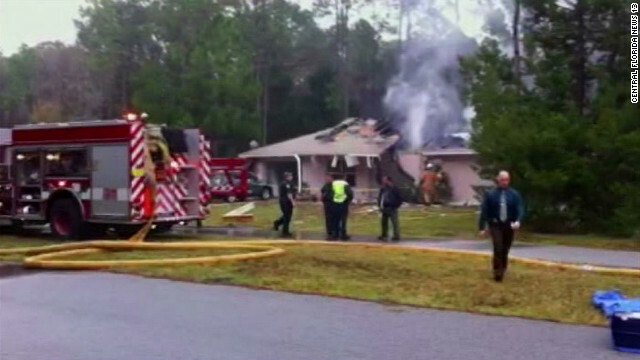 Check out this report from CNNMoney's Annalyn Kurtz. Malala Yousafzai, the Pakistani girl shot in the head for campaigning for girls' education, has been released from the hospital in Birmingham, England, the hospital said Friday. The teen will continue undergoing rehabilitation at her temporary home in the United Kingdom. Malala was shot by gunmen last fall. She had blogged fearlessly about girls' education and accused the Taliban of thriving on ignorance.